After listening to Ryan Adams’ new album, Ryan Adams, multiple times in one day and proceeding to write a post about this listening party, I decided that I needed to learn more about Adams. A full scale exploration of Adams’ discography would need to happen- from his first solo album Heartbreaker all the way to Ryan Adams. I wanted to learn more about Adams, hear more of his songs, see and hear what all the fuss was about. Spotify makes this incredibly easy to do. Back in the day, specifically back in high school, when I was straight up devouring music, I would get into a band and then proceed to scour the used CD racks for old albums of theirs. It was a costly endeavor, especially because more often than not, these albums would be resold back to the same store I bought them when I was then harboring an obsession with a different band and wanted to buy more CDs. That Sunday morning paper route only brought so much money in. But now with Spotify, such deep dives are significantly easier to undertake. Couple it with a simple Google search and you’re good to go. So that’s what I did- spending almost a week listening to nothing but Ryan Adams. Albums ranked on a scale of 1 to 4 Mandy Moores. Album starts out super strong and includes a couple “hey, I know that song” songs, especially “New York New York” and “When the Stars Go Blue.” The album fades toward the second half, but a great first half carries it. Definitely more rock at the start. Sounds like the Replacements and definitely has a 80’s Midwestern feel to it. This is the most rock of his albums up to this point. Has a different vibe that previous albums. slightly darker. Kind of sad. Rainy day music. Love is Hell features Adams’ amazingly great version of Oasis’ “Wonderful,” which to be honest, might be better than the original. Adams’ first album with the Cardinals and it has a rustic Grateful Dead sound to it. It’s a good, chill album; complete with vintage roots rock feel. Whoa, very country! Is this Willie Nelson signing? (editor’s note: no) Very chill. A good alt-country record. A throwback. A basement album, meaning it sounds like it was recorded alone in a dark basement. The first song, “29,” is almost rockabilly, then the album gets sparse and melancholy. This album is boring. Recorded before he got together with the Cardinals. And we’re back to alt-country. This seems like a resurgent record for him. Spurts of renewed energy. It’s ok and I’m not sure if it included the Cardinals or not. This is a good, solid rock album and more energetic than other Cardinals’ records. It has a cool album cover. Another “upbeat” album, to a point at least. It’s a double album and the second album is definitely more rock; almost alt-country punk. I really like IV. Probably one of my favorite albums of Adams. Back to laid back country. Very, very, very laid back. If you’re in the right mood, this album is probably pretty good. If you’re not, this album is probably pretty boring. Overall, probably my favorite Ryan Adams album. It just sounds different than the rest and I think I’m more partial to this particular sound than other Adams’ sounds. It still has the alt-country vibe to it, but has been infused with some of the vintage California swag. Adams is somewhat of a musical chameleon, no two of his albums, whether it’s a solo joint or one with the Cardinals, sound a like. Even Cardinals albums sound different from one another. Adams kind of reminds a little bit of Jack White in the sense that he seems to be one dude with multiple musical personalities. This makes him a hard artist to trust. 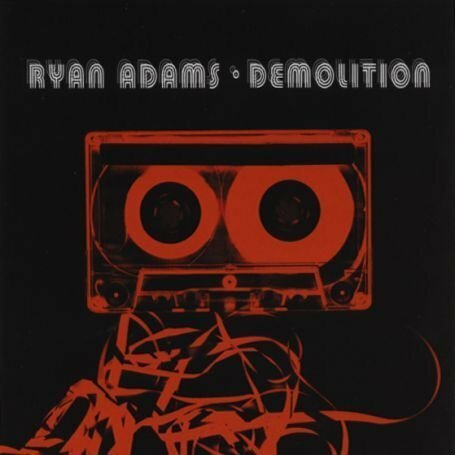 You never know what you’re going to get, which version of Ryan Adams is going to be released and recorded. On his latest album he sounds like Tom Petty, with the Cardinals he sounds like American Beauty era Grateful Dead and back on Rock ‘n Roll he sounds like late 80’s pop/punk. Like White, all of this changing makes Adams tough to be a fan of. Walking away from this, I’m a fan, but not as big of one as I thought I’d be, if only because I’m not in it 100%. Either way, Ryan Adams is still a great, albeit inconsistent songwriter. His latest album is easily my favorite, followed by Gold and IV.